POWAY, CA--(Marketwired - Dec 3, 2013) - Dr. Robbi Wilson, a cosmetic dentist in San Diego, says biomimetic dentistry offers patients two beneficial advantages: to conserve their teeth for better, long-term dental health, and to help preserve their finances due to lower treatment costs. The philosophy behind biomimetic dentistry proposes that teeth in their natural form are at their strongest and most successful. As a result, Dr. Wilson and the dentists at Pomerado Cosmetic Dentistry use biomimetic dentistry to offer patients minimally invasive procedures designed to spare and protect a patient's teeth in order to emulate their original form, function, and aesthetics. "Biomimetics, just the term itself, is basically studying the structure and function of a biological system, in this case a tooth, and using it as a model to design or engineer the materials that you would use to replace missing or diseased tooth structure," says Dr. Wilson. In a recent blog post entitled "Biomimetic Dentistry Can Prevent Cavities and Even the Need for Root Canal Treatment," Dr. Wilson notes: "In the past, or previously with traditional dentistry, whenever teeth would have major decay or when people would break a certain part of their tooth off, often we would do pretty invasive dentistry in order to restore that tooth. By invasive, we'd have to cut a lot of healthy, natural tooth away in order to accommodate a restoration, such as a crown. And sometimes, crowns are necessary. But more and more often these days, particularly with the advances in modern adhesion and bonding techniques, we're now able to become a lot more conservative in the way that we do dentistry, which is great for the patient, great for the tooth, and great for the wallet." One of the ways Dr. Wilson uses biomimetic dentistry techniques is to treat teeth with large cavities, as well as prevent root canals in badly decayed or infected teeth. In a typical root canal procedure, the inflamed or infected pulp, which is the soft, center area of the tooth, is removed. After the inside of the tooth has been cleaned and disinfected, it is filled and sealed with rubbery material known as gutta percha. In the last stage, a crown is usually placed on the tooth for protection. With biomimetic techniques, the cosmetic dentist says the process of carefully cleaning and removing decay is similar up until the dentist closely reaches the nerve of the tooth -- at which point he or she stops. As long as the tooth is asymptomatic, meaning that the patient has not experienced any pain, Dr. Wilson explains that the dentist will then leave a very small amount of decay in the tooth, and seal the nerve. "I know that sounds totally against what most people know, but as long as we clean all the decay out around that most central and deepest spot, called a peripheral feeling zone, we create this nice bit of healthy tooth structure that we can now bond to." "With a layering technique and using some of our composites and porcelain restorations, we basically just seal the nerve," he says. "Researchers show that by doing so, that deepest decay will actually not progress any further because it's being sealed off from any sources of nutrients. Cavities are basically created by bacteria, and if bacteria don't have oxygen or sugar, which is their food source, they die or stay dormant. With these new techniques we're preventing a much higher percentage of teeth with large cavities from requiring root canals, and, a lot of times, full coverage crowns." Dr. Wilson says biomimetic techniques are often considered a modern and more cost-effective approach to patient-oriented dentistry that prioritizes the function of the tooth, rather than the strength of the restoration. Additionally, biomimetic dentistry is not a formally recognized specialty, but rather a different approach to performing some types of general dentistry, notes Dr. Wilson. "Our whole concept in biomimetic dentistry when we're fixing a tooth, is that we're replacing each of those layers as we rebuild those layers back," he says. "The whole goal is make the tooth look like a tooth again, and not only look like a tooth, but to function and act like a tooth. That's really the key difference." Robbi Wilson, DDS is a member of the American Dental Association and the California State Dental Association, and has more than 10 years of experience as a practicing dentist. He earned his Bachelors of Science degree in Biology from the University of California-San Diego, and received his Doctorate of Dental Surgery from the University of California-Los Angeles School of Dentistry. Dr. Wilson has been recognized as one of San Diego Magazine's "Top Dentists" five times since 2008. Dr. Wilson is available for interview upon request. Dr. Valeri Sacknoff is a member of the American Academy of Cosmetic Dentistry, the Academy of General Dentistry, and the American Dental Association, and has been a practicing dentist for more than 30 years. She earned her Bachelors of Science degree in Public Health and Dental Hygiene from Loyola University, and received her Doctorate of Dental Surgery from New York University. Dr. Sacknoff has also been recognized as a "Top Dentist" by San Diego Magazine six times since 2007. 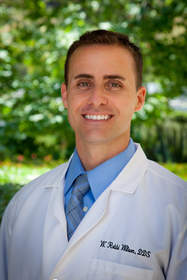 Dr. Jason Keckley is a member of the Academy of General Dentistry, the American Dental Association, and the California Dental Association, and he is the latest dentist to join Pomerado Cosmetic Dentistry's staff. Dr. Keckley earned his Bachelors of Science degree in Cellular and Molecular Biology from San Diego State University, and received his Doctorate of Dental Medicine from Midwestern University. He also served as an active member of the United States Marine Corps from 1998 to 2002. For more information about Pomerado Cosmetic Dentistry, please visit pomeradocosmeticdentistry.com or facebook.com/PomeradoCosmeticDentistry. To view the original source of this article, click here: http://www.pomeradocosmeticdentistry.com/practice-news/can-biomimetic-dentistry-prevent-root-canals-san-diego-cosmetic-dentist-explains/.